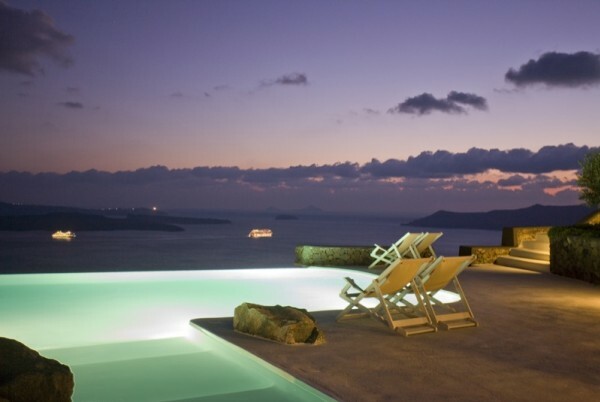 When the island of Santorini is your destination, it will become a destination for life. 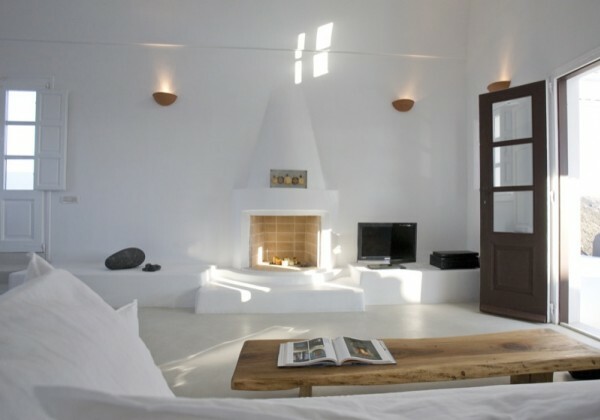 Once you visit 'Aenaon Villas' and experience the warm hospitality of this incomparable place, you want to come back time and time again. The location is unique! 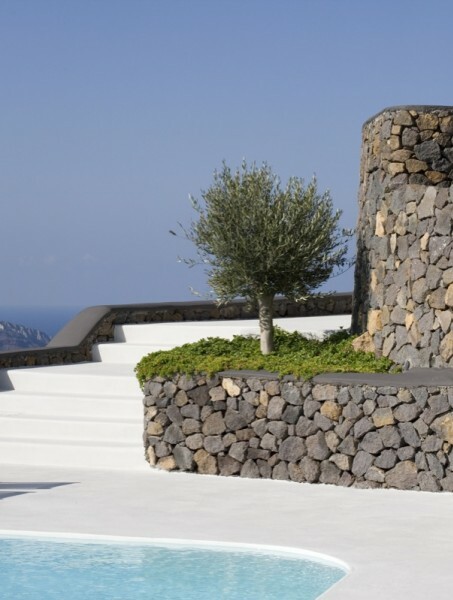 It is situated at the top of a steep slope, at the northern part of the island where the land was carved to admire an endless horizon, the deep blue of the Aegean Sea, the caldera, the volcano and breathtaking sunsets. 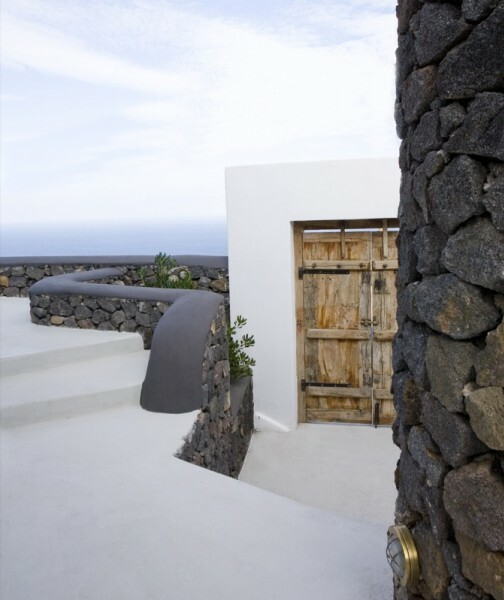 Right at the ancient path that connects Oia with Imerovigli and Fira, it overlooks the beautiful beaches spanning along the east cost of the island. 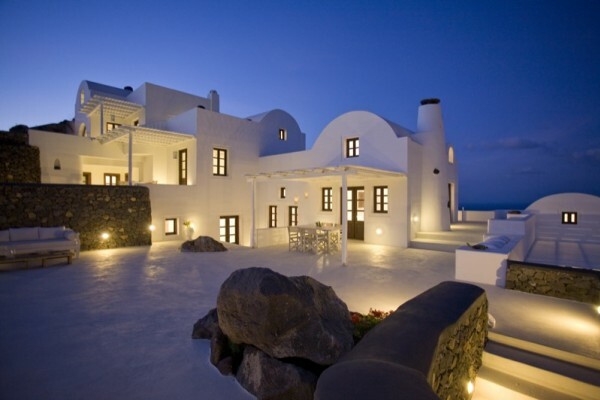 The housing complex, consisting of 7 luxurious villas, is a truly idyllic and unique retreat. 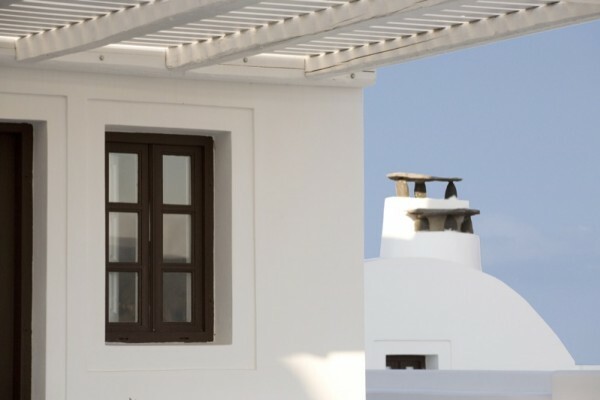 The villas’ exterior is built in a traditional style, with the utmost respect for cycladic architecture and in perfect harmony with the natural setting. 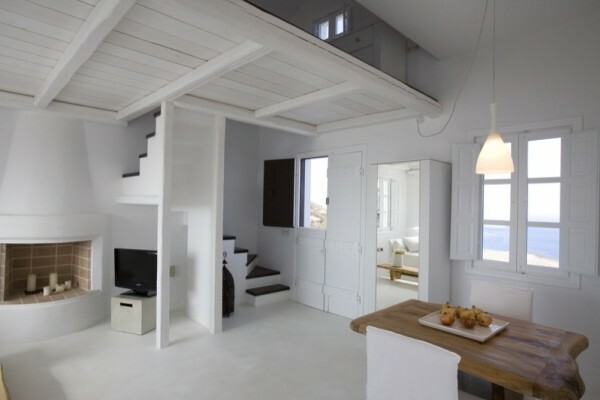 Inside, the villas are wonderfully spacious, tastefully decorated yet simple and elegant and equipped with all the modern amenities that guarantee a sense of autonomy, comfort and luxury. 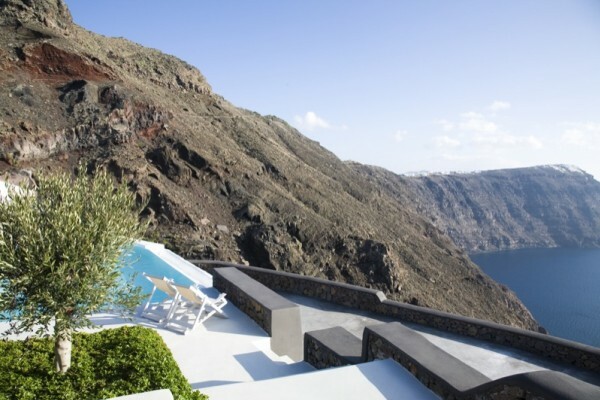 Private verandas provide access to the infinity pool, which is built on the caldera’s edge and its surrounding area offers an unobstructed view of the Aegean Sea, the caldera, the volcano and the unique sunset. 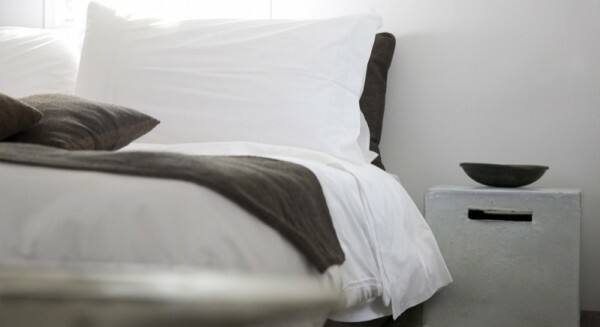 This versatile space offers quiet and privacy, and guarantees a relaxing and rejuvenating stay. 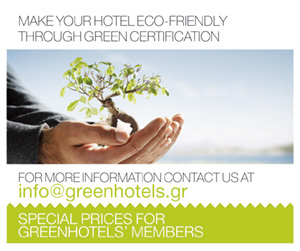 The hotel is classified as ECO CLASS B according to Greenhotels assessment. This means that the hotel’s managers are making a significant effort towards the protection of the environment and energy and natural resources saving, by adopting significant practices and methods for hotel’s operation. However, there is room for development and optimization of their methods, so as the hotel to become more eco friendly and its environmental policy to become widely known to hotel’s customers. 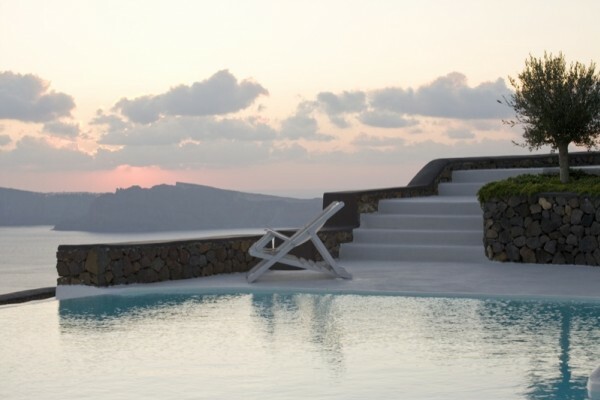 Santorini is one of the most popular islands in Greece, with thousands of people every year falling in love with its dramatic landscapes, welcoming people and delicious food and wine. 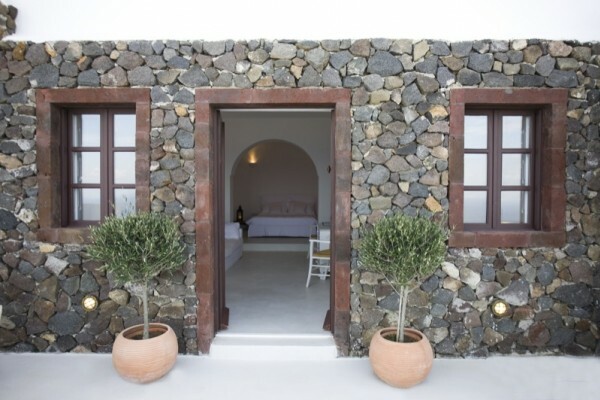 Come here in late spring or early summer to beat the crowds and let yourself be bewitched by volcanic black beaches and whitewashed houses, exquisite tastes and breathtaking vistas, and and sunsets that paint the sky a thousand shades of fire.